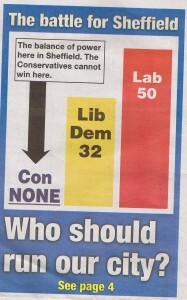 This graph is from The Sheffield Courier, a red top newspaper that looks like it’s from the Labour Party, but when you read it you realise it is from the Lib Dems. 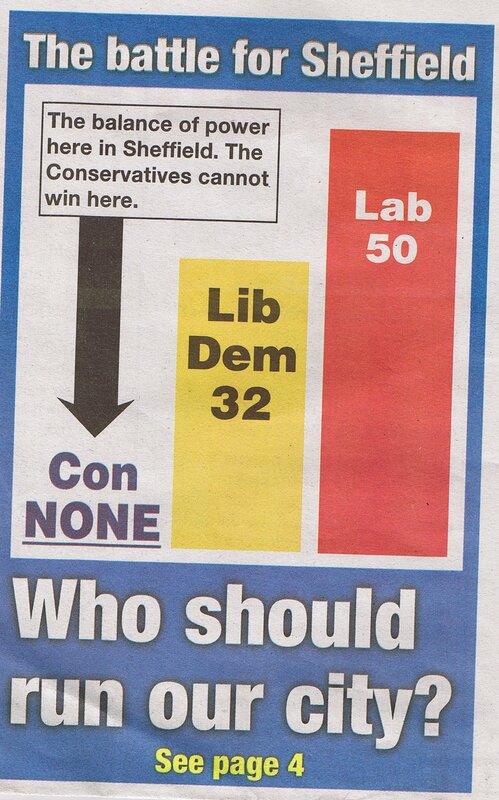 The graph has conveniently forgotten that there are two Green Party Councillors on the Council! What are they so afraid of that they have to distort the facts like this? Well, the main thing they are afraid of is losing their seat in Broomhill, currently held by former leader of the Council Paul Scriven, to Bernard Little of the Greens. What they should be afraid of is the fact that the public have had enough of their broken promises, and graphs like this confirm that the Lib Dems are not to be trusted. Greens can be encouraged by the support from Salma Yaqoob, leader of the resurgent Respect Party, who has asked voters without a Respect Candidate to vote Green Party. Now the Labour Party has moved so far to the right there are so many disillusioned voters on the left who do not know who to vote for. 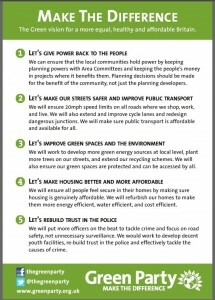 I hope they will put their trust in the Green Party because our policies are both radical and realistic. We have much in common with Respect- opposing privatisation and dodgy PFI deals, opposing the war, demanding investment in jobs and green technology.